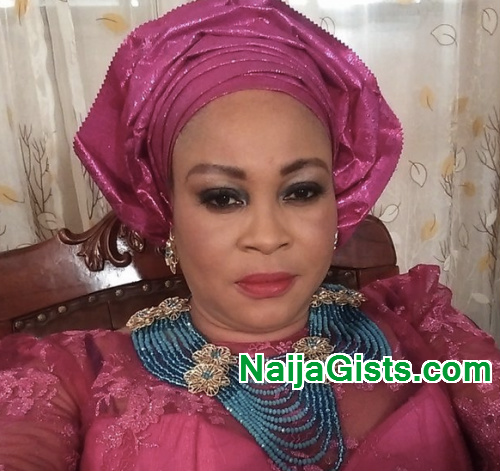 Veteran Nollywood actress Bukky Wright in this exclusive chat with Newswatch opened up on her battle with anger. On how people perceive her personality, Bukky Wright said she is more of a private and shy person who isn’t outgoing though people think she is a snub. “I know my temper is bad. I know it is very bad and that is why I am usually very quiet. That is also why I make it clear to people that I take no nonsense. No one throws nonsense at me and then thinks you will get away. I don’t pretend,” . Its often not about anger problem but people of Bukky Wright’s calibre sought to demand respect instead of working on their attitude to earn that respect. Naomi Cambel (the world renowned model) falls in that category with anger problem borne out of self persived disrespect from the public. Naomi Cambel is almost always fighting everybody in public for not recognising and respecting her personality. Diana Ross has similar anger problem cos she thinks she deserves as equal respect as her white counterparts so, she is always at the top of her anger even when not her racial perceptions are provoked. Bukky Wright falls in this category of highly tempered individuals, a personality she likely thinks men look at her as a loose charracter because she is fair skinned and looked upon as “easy to get” person. The only way to fight back in Bukky Wright’s opinion is to exhibit anger at the very least provocation; probably an attitude she had developed from adolescent and adopted as a defence mechanism to protect her image which, thus has become a general anger problem.